Abhay Gupta founded Bidgely with the mission to accomplish energy efficiency at a massive scale. He's worked at a combination of energy and technology companies including Grid Net, Echelon and Sun Microsystems. He holds a B.Tech from the Indian Institute of Technology Delhi, M.S. from University of Southern California and MBA from Santa Clara University. Abhay is passionate about music and travel! 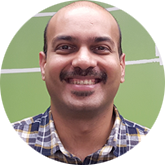 Vivek is leading the technology team which is building the biggest and best energy analytics system yet. 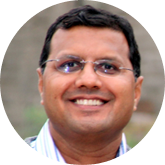 Prior to Bidgely, Vivek contributed to building voice recognition technology at Microsoft. He has a B.Tech degree in Computer Science from IIT Bombay. Once done solving the world's energy problems, he fantasizes of becoming a full time musician and doing big things in Bollywood. Robert Parris is Bidgely’s Chief Financial Officer. Bob came to Bidgely from CoStar, a $12 Billion leader in information analytics, where he was responsible for the successful IPO of its LoopNet division. His experience includes strategic and operational financial management with a track record of financial stewardship of high-growth companies. Robert holds a B.S. in accounting from the University of Northern Colorado. Prateek leads Bidgely's worldwide sales efforts. Before Bidgely, Prateek worked in leadership roles at Pacific Gas & Electric Company and Schlumberger. He holds a Bachelor of Technology degree from the Indian Institute of Technology and an MBA from Harvard Business School. Prateek fancies working for a soccer club in Europe and a Bollywood production house someday. Mark Rodman heads Bidgely's International Sales team. 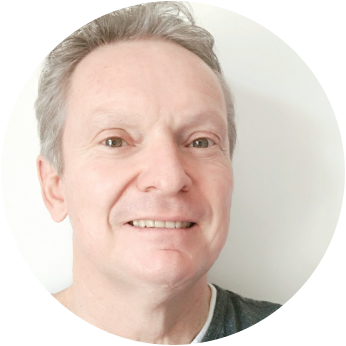 Before joining Bidgely, Mark worked for Echelon Corp as VP for Asia Pacific, and Honeywell as VP Sales in Europe, the Middle East, and Africa. He graduated from the University of Natal with a B.Sc. in Math and Computer Science. Having spent the past 25 years going on business trips, his major interest is still, oddly enough, traveling (and eating!). Navin leads the Bidgely India team. 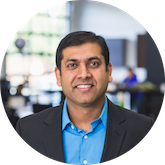 Prior to Bidgely, Navin worked in leadership roles at various technology companies including Yahoo, FICO, Komli and Netscape. 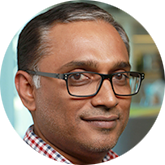 He has two decades of experience in building internet, data and analytics products. 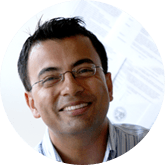 Navin has 8 US patents and 1 paper publication. He holds a B.Tech in Computer Science from IIT Kharagpur and PGPX in General Management from IIM Ahmedabad. He enjoys travel and outdoor activities. Sekar heads the Bangalore-based arm of Bidgely’s engineering team. He has 25 years’ experience building and scaling distributed engineering teams at multiple startups. 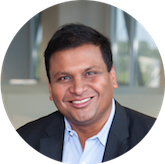 He comes to Bidgely with broad engineering leadership experience with prior stints at SuccessFactors, Yahoo, and Informatica. Sekar holds an MS Computer Science, University of Iowa; and an M.Sc. Bio Science & CS, Birla Institute of Technology and Science, Pilani. Tim heads Customer Success at Bidgely. 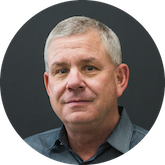 Tim has 30 years of experience leading customer success and delivery at high-growth technology and Smart Grid companies, with experience at Bit Stew Systems, Control4, GridPoint, Ernst & Young and Accenture. Tim has a degree in Electrical Engineering from Penn State University and an MBA from Auburn University. Gautam is the Chief Marketing Officer at Bidgely. Prior to Bidgely, Gautam was CMO at NSS Labs, a data-driven cyber security company. 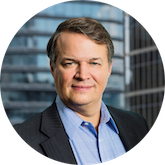 In his 25+ years of rich strategic and business experience in Solutions, Product Marketing, Product Management and Strategy, and Global Marketing, he has also served as Vice President, Product Marketing at FireEye and Barracuda Networks and lined them for their successful IPOs, and earlier in his career, Director of Marketing, Solutions and Management at Cisco. Gautam holds the honors for double Masters in Business Administration (MBA) from Santa Clara University and Computer Science (MS) from University of Southern California. Gautam is big film buff, and is a true fan of Nolan’s The Dark Knight and Inception. Ilén joins Bidgely after leading product management and client engagement for Exponential Machines, an India-based AI startup. Prior to that she directed Product Management for Enphase Energy, guiding the design and development of Enphase’s solar monitoring and energy management platform and related applications. 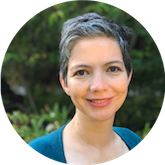 An advocate of user-centered design, her product philosophy is informed by over 15 years of professional experience ranging from consumer electronics, to communications hardware, to enterprise systems. She approaches her work with an appreciation for the intersection of business, technology and team.